Drum patterns emphasize velocity, above which electric guitar promulgates a chaotic aesthetic — not infrequently utilizing dissonant scalar patterns — to complement, to the point of a studious avoidance of juxtaposition, the aesthetic of furious speed cultivated herein. A huge breakdown hits right after, rattling skulls and seething with adrenaline. Complexity is easy, simplicity is hard — just look at academic writing. The difference between these two sentences — the first overtly if not needlessly complex, the second easy to read and appealing to those who grew up enjoying the deathcore boom of the mid-to-late 2000s — is a good picture of my reaction to Applaud the Impaler’s new record Ov Apocalypse Incarnate. Described as “death-grind” by the Unique Leader press team, Applaud the Impaler certainly could be, if compared to other bands on the label — the songs are too long, tight, and precise to be “grind” in the normal usage. The “grind” here is something like Cephalic Carnage’s Xenosapien — startlingly technical and fast to the point where it sits on the precipice of parody – as opposed to Terrorizer, Nasum, or Napalm Death. 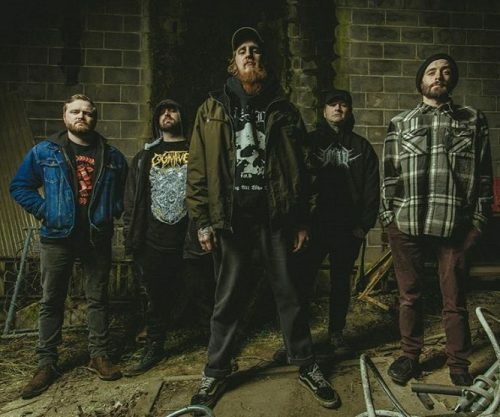 The “death” comes almost exclusively from deathcore, where Applaud the Impaler — what with their “verb the noun” style of name — clearly took some influence. I can name deathcore bands until I’m blue in the face, but that doesn’t matter. Determining whether the breakdowns resemble closer The Somatic Defilement or The Cleansing is a fool’s errand. They’re breakdowns, and you know as well as I do what those sound like. The chugging riffs of early Whitechapel, Oceano, or All Shall Perish — distinct from breakdowns — also have a special spot in the caustic brew. Despite the complexity of many of the non-breakdown riffs here, what Applaud the Impaler is doing is remarkably simple. Employing the dwarf-beside-giant, good cop/bad cop idea — chaotic, techy death metal intermingled with boorish breakdowns and crushing chugs — yields enjoyable results. If the deathcore boom signified anything, it was that newcomers to the metal scene wanted aggression and energy of a straightforward, raw sort. Gone was the overexposed vulnerability of nu-metal — melancholic death-doom is the austere man sipping wine alone to nu-metal’s drunken reveler who treats a party as his personal therapist’s office — replaced with a muscular rage at the expense of any other emotion. 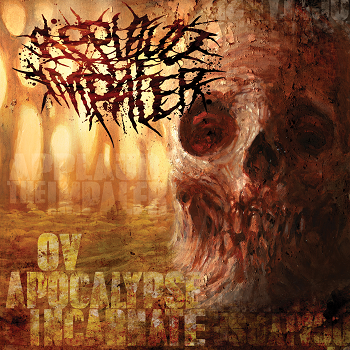 Ov Apocalypse Incarnate follows this blueprint, and “Acid Cloud” does this well, tearing through some core-infused mid-2000s death metal riffs with aplomb. The quintessential melody from early Whitechapel and their ilk floats overtop the climactic chugging beatdown, and it works well here as it did on This is Exile. “Trenchrot” expertly exploits the shock-and-awe aspect of its technical parts to pave the way for more impactful breakdowns. The downside to the near-constant barrage here is that the technical becomes the commonplace and the jarring becomes the expected. This kicked in once the intro to “Angel Lust” hit. Blasting, fast picking, a brief spasm spanning at least the second and first strings around the twelfth fret or higher. I knew that within a minute I’d be clobbered by one of the uniformly good chugs or breakdowns that liberally pepper Applaud the Impaler’s music. To the band’s credit, “Angel Lust” appears as the tenth of twelve tracks, so the aural fatigue isn’t given too much time to sink in. We must be careful to not conflate fatigue with boredom — Ov Apocalypse Incarnate doesn’t become boring three-quarters of the way through. Instead, the fatigue comes from essentially only one thing being expressed — rage — and is expressed in essentially the same way twelve times. Technically ten, as there are two effective and worthwhile interludes here, but you get the idea. Considering the above, I’m still inclined to like Applaud the Impaler. On each spin, I could almost smell the beer and sweat that would accompany a live performance, based as it would be on pure technical and kinetic physicality. This is especially true for the vocals, which sound remarkably live and unaltered. I have no doubt that Mr. LaShure sounds identical with and without a microphone, and besides the requisite double-tracking, the vocals have no studio trickery applied to them. The production is, of course, cranked up and hot. It suits the unrelenting aspect of the music well, and the compressed nature of the sound makes for a chaotic experience due to its claustrophobic nature, which may well have been the intent. Ov Apocalypse Incarnate holds a happily nostalgic appeal for me and I applaud the record, albeit not with a standing ovation.